Git is a distributed version control system. It's very popular in the open source community, and is used by projects like the Linux Kernel, Xorg and openSUSE. Git is designed to handle very large projects with speed and efficiency, but it's just as well suited for small personal repositories. 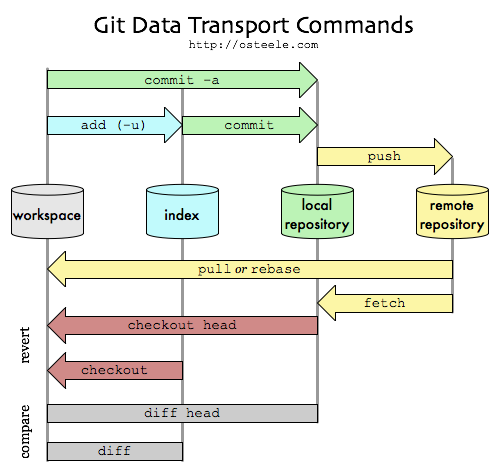 Git is a distributed source code management tool, like Mercurial or Bazaar. This means that every Git working directory is a full-fledged repository with complete history and full revision tracking capabilities and is not dependent on network access or a central server. Git is an Open Source project covered by the GNU General Public License v2. It was originally written by Linus Torvalds and is currently maintained by Junio C Hamano. Git is included in the distribution. Git in a Nutshell, by Jonas Jusélius, very concise. For information on how to publish your git repositories, see git hosting page. This page was last modified on 22 December 2016, at 00:55. This page has been accessed 443,694 times.